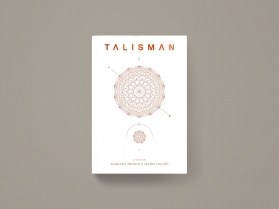 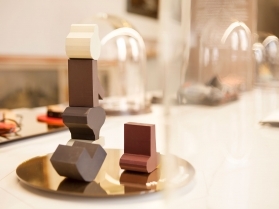 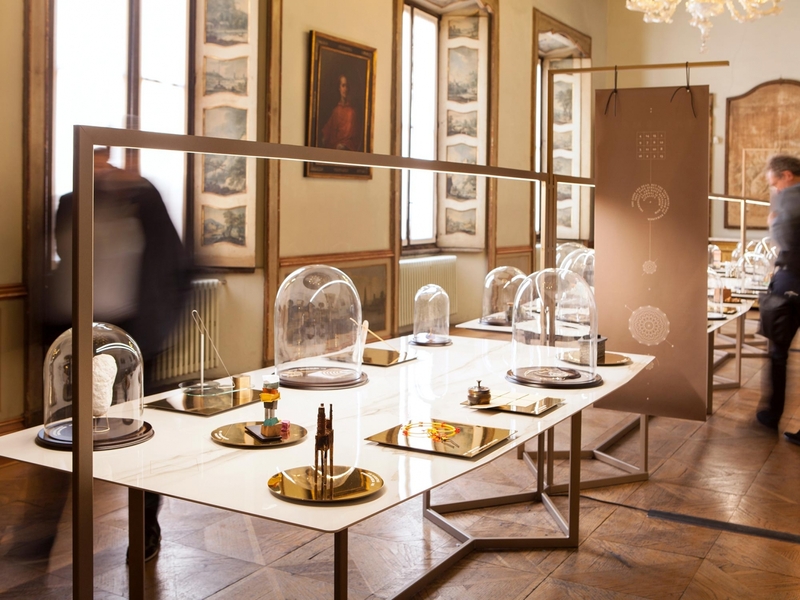 Created to celebrate the 10th anniversary of the project IN Residence, TALISMAN – Contemporary Symbolic Objects is a group show that introduced the audience of the Fuorisalone in Milan to 46 contemporary talismans created by 46 designers. 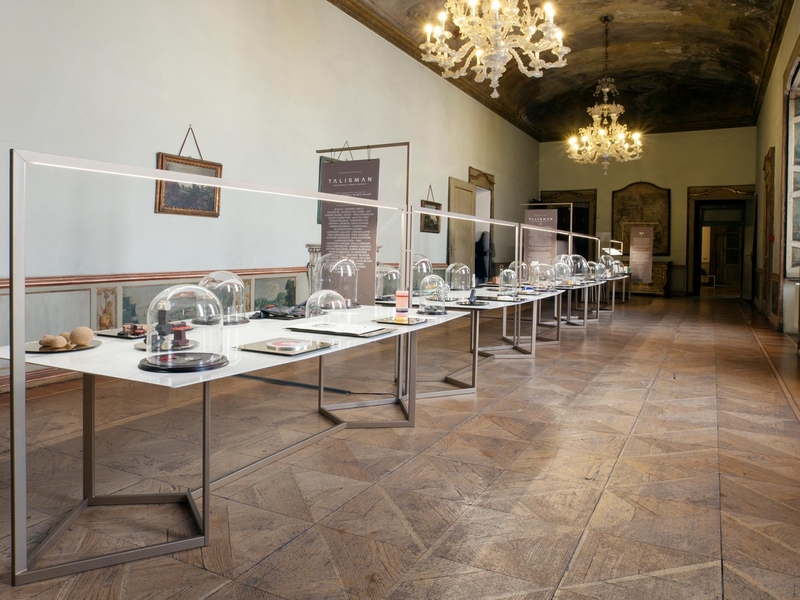 The installation called for four tables with ceramic tops made for the occasion in collaboration with FLORIM, printed with the geometric figures of the event’s visual system. 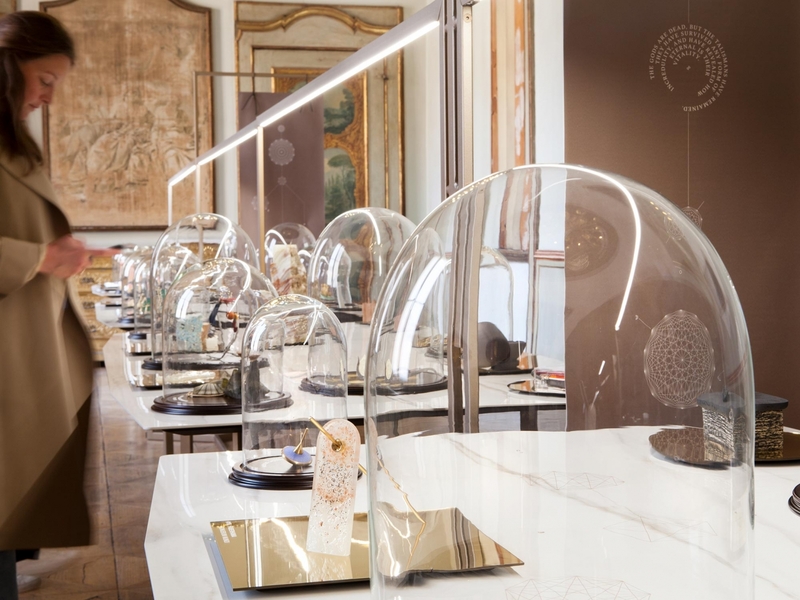 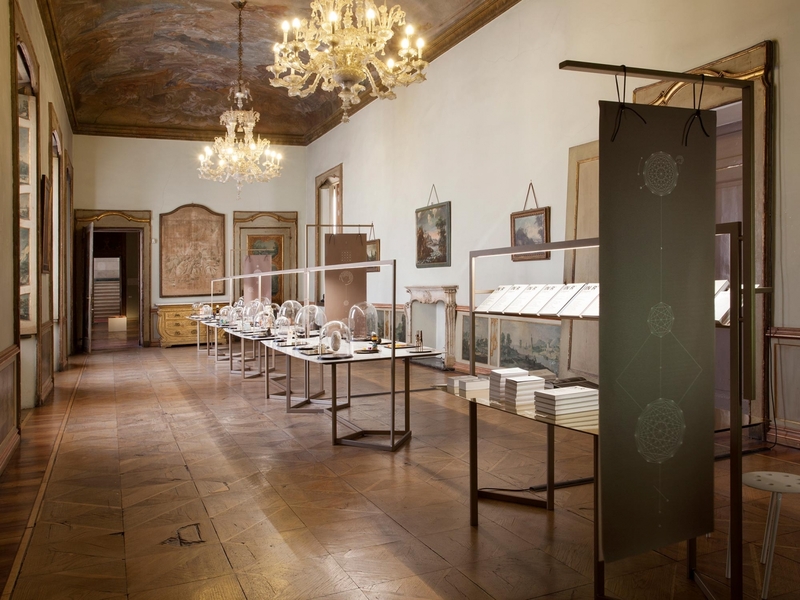 The encounter between the linear design of the exhibits and the precious architectural setting of Palazzo Clerici generated a vibrant contrast, a tension of forms that amplified the spiritual tension of the talismans on display.